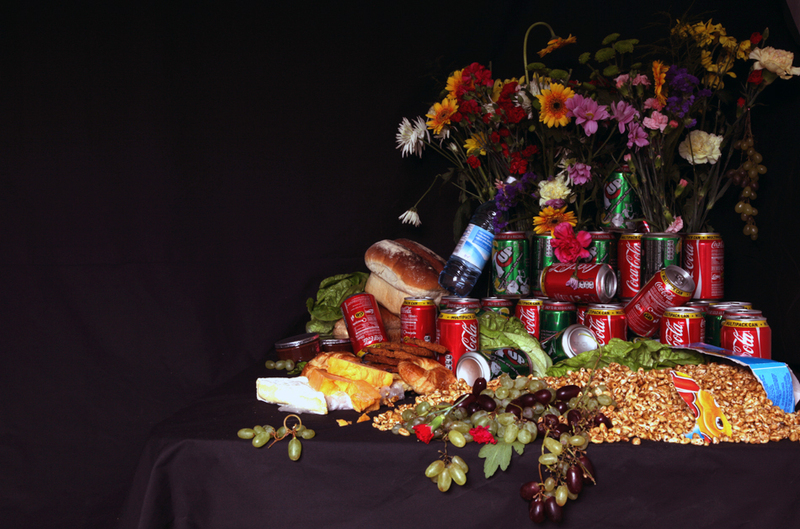 Each image shows the waste food collected from a single supermarket on a single night. For two years we lived almost exclusively from food that we gathered from supermarket bins in Britain. We spent only £5 per week on items we could not find and the quality of our meals improved tenfold. 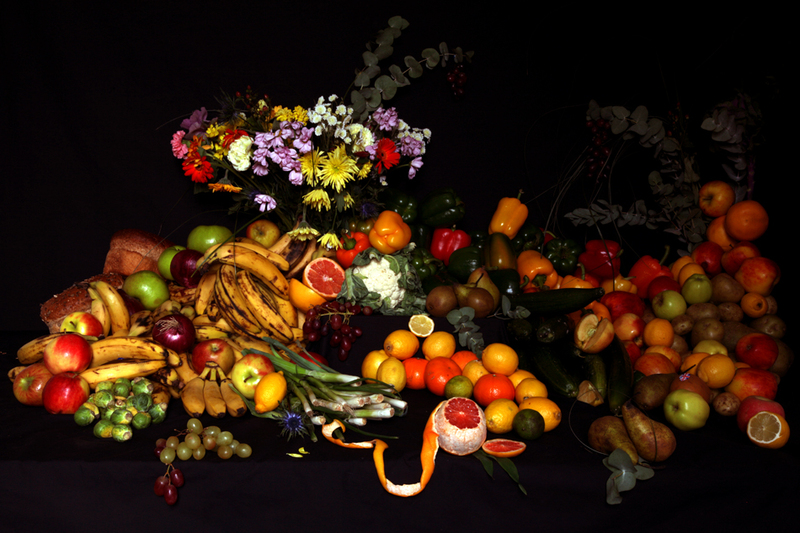 Shocked and saddened we began to photograph the food in our studio, taking inspiration from traditional still life painting in which ripe produce, on the brink of decomposition, reminds us of the fragility of our own existence. 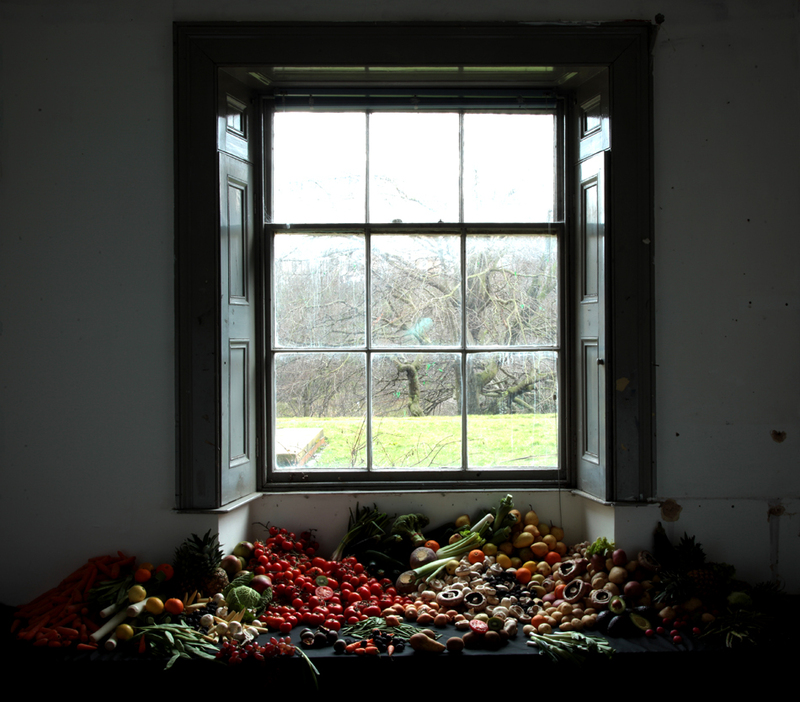 ‘Garden of Rubbish’ is an attempt to document a society which is out of balance. Foods that would never naturally appear together- fruits and vegetables that have been grown in such a way that they defy seasons and geography, have traveled thousands of miles to get to us, to the supermarket bins, and to end up in our still life.